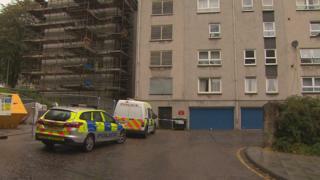 A man has admitted killing his partner at a flat in Edinburgh. Roger Crossan was accused of murdering Moira Gilbertson at a property in Dumbiedykes Road near the Scottish Parliament in October last year. At the High Court in Glasgow, his QC plead guilty to a reduced charge of culpable homicide on Mr Crossan's behalf. But prosecutors did not accept the plea and the 53-year-old is due to stand trial for murder in June. The crime is said to have occurred between 3 October and 14 October 2017. It is claimed Mr Crossan struck the 57 year-old on the body with a knife or similar sharp item. He also faces a charge of attempting to defeat the ends of justice.